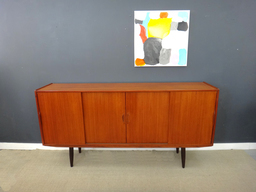 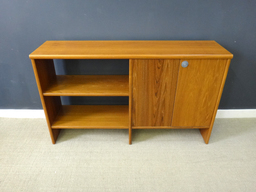 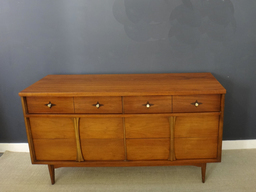 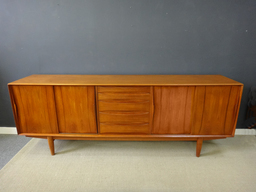 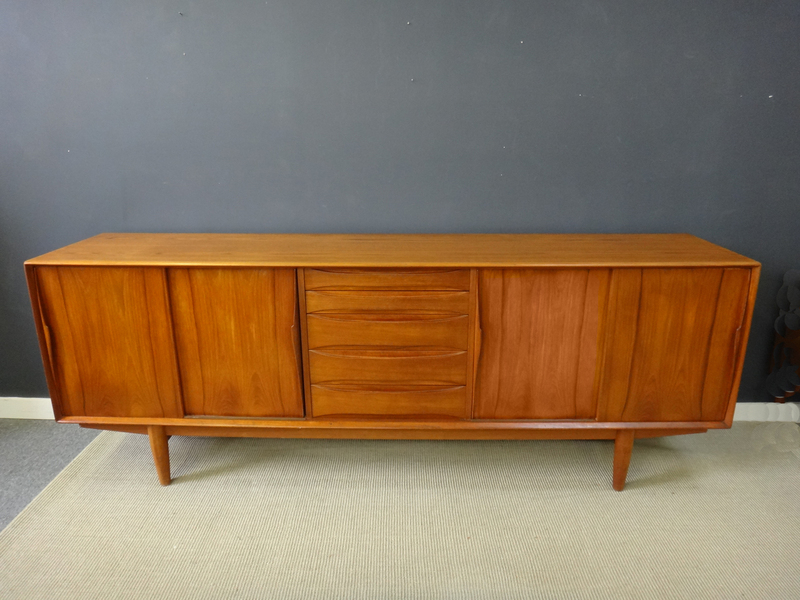 This gorgeous extra long teak credenza manufactured in Denmark in the 1960's by Skovby Mobelfabrik features five drawers in the center and two adjustable shelves behind each set of sliding doors. 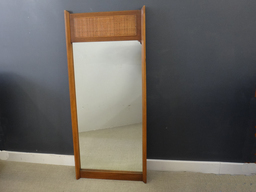 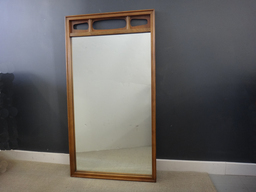 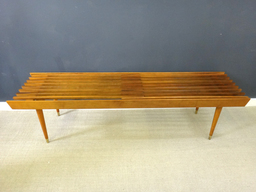 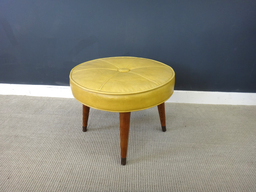 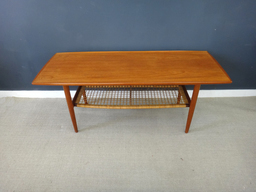 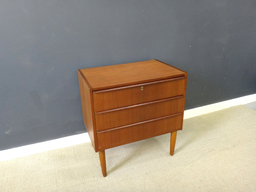 Piece has been Danish oiled to restore the rich mellow teak. 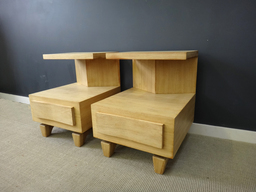 Incredibly solid. 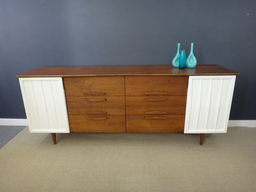 In good vintage condition with some slight uneveness of color on the doors.